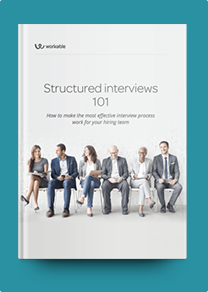 This sample of Marketing Coordinator interview questions will help you assess candidates’ skills to make the best hiring decisions for your company. Feel free to customize these questions to suit your company’s roles. Marketing Coordinators conduct research on customers’ behavior, participate in advertising campaigns and produce promotional material. Through these activities, they support the Marketing department and build the company’s brand. Your ideal candidates should have excellent analytical skills, along with an ability to translate sales data into instructional information. They should also have experience with marketing tools (e.g. CRM software and Salesforce.) Keep an eye out for potential hires who are interested in learning about your products/services. Candidates who share ideas on ways to contact prospective clients will also stand out. Depending on the seniority level of the position, opt for individuals with varying experience levels. A degree in Marketing or Business Administration is usually required for this position. Look for goal-oriented candidates who are strong communicators and team players. What are the most effective advertising channels for our products/services? How would you run a digital marketing campaign? What criteria would you use to measure a campaign’s effectiveness? What type of customer would you try to attract through social media? What is market segmentation? How would you use this technique to drive successful campaigns at our company? What steps do you take to conduct a market analysis? Who do you think are our competitors and what differentiates us from them? How important is SEO to this position? What is your familiarity with lead-generating content marketing? Describe the most difficult project you’ve worked on so far. What challenges did you face and how did you overcome them?